A couple of the new tracks I’ve been working on are sounding pretty close to being finished, although at the moment there is a definite drop in quality from the first track. The “bamboo” track I’ve been trying to make has been taking the longest to finish, as it’s the most different. I’ve also started working on the boss theme, which has been fun. For this piece of music, I’m ignoring most of the rules I’ve read about pentatonic scales and traditional Japanese percussion, and simply tried to keep the themes running through the instruments I’m using and the way I’m using them. The Boss Theme is a little homage to Final Fantasy in a lot of ways, as I’ve taken inspiration from multiple Final Fantasy battle themes for the intro and from the Shinra theme from FFVII for the main drum rhythm. To test the system, I started using the Priest character, as he was the first character I made. I’ve renamed him Bura-san in the GDD. I’ve created two different variables that depict whether or not the character can give the player a petal, shown either as flower_give = true or flower_give = false. If the character’s petal hasn’t yet been added to the itemList DS list, then flower_give is true. 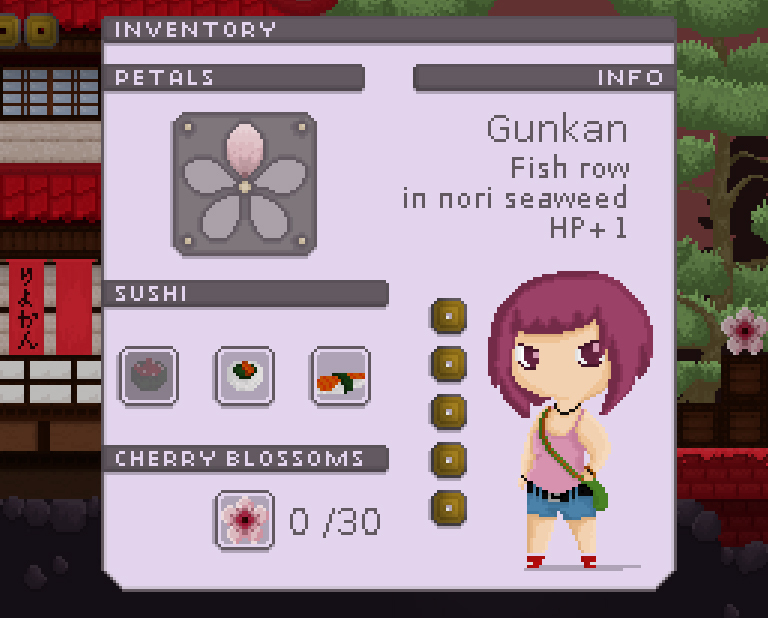 The petal given appears at the top of the screen, and can be seen in the petals section of the inventory. I’ve created three new global variables called “petalscore” 1, 2 and 3 – one for each level that the player can receive petals. When a petal is received, the petalscore value will increase by one depending on which room the player is in. The Panda character that I recently put in runs about frantically, but again sometimes seems to get stuck on uneven terrain. I like this character because there is no way of catching up with him, you have to chance running into him and pressing X at the right moment! 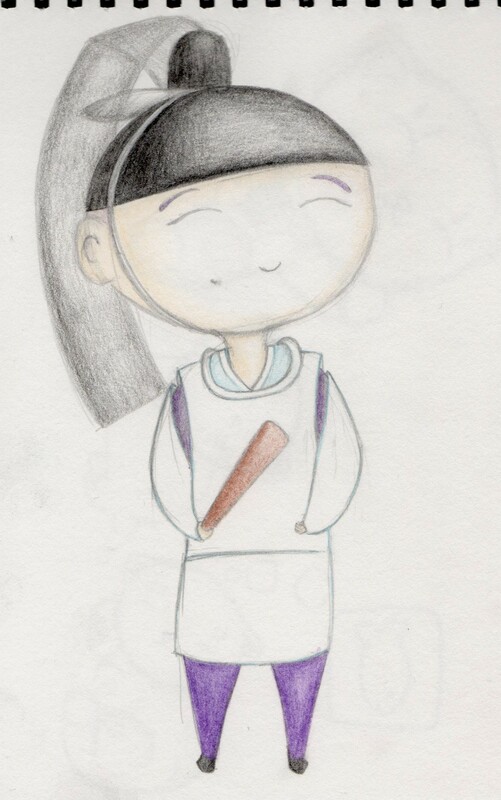 My latest character is called Koto, and is the game’s instrumentalist. 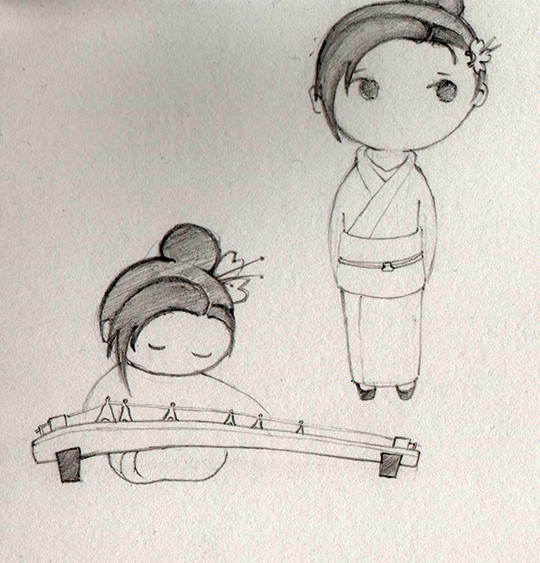 She appears in the first three levels, and sits by her koto playing each level’s music. This character was originally going to be male and called Camui after the Japanese singer Camui Gackt, but when I checked on the internet for a character basis it seemed that koto players were generally women. I found a lot of images of koto players dressed in traditional Japanese kimonos, so my koto player is also dressed very traditionally. All of these characters are placed in all three levels, but I’m hoping to create one unique character for each level to make up for the fifth petal. 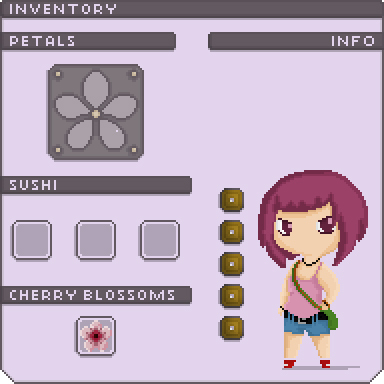 I even got round to making a pixel version, which I might use later on for a less important NPC if I’m stuck for time. It’s difficult to make someone look creepy in such a small space, and more difficult to make a camera that actually looks like a camera, so all round this wasn’t a huge success. So, back to the drawing board. It seems like these days you can save most games whenever you like, which is certainly convenient. This was pretty much unheard of until the past 10 years or so- up until then you would have to wait until you reached a designated “save point” if you wanted to save your game, and these were elusive and unpredictable little objects a lot of the time. 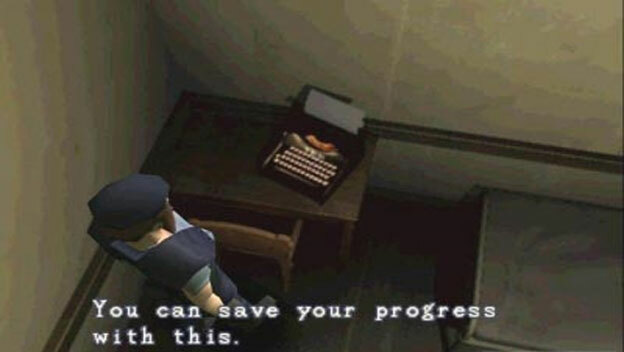 In the harshest scenarios, such as the original Resident Evil, you had to collect items in order to use a save point, so the amount of saves were extremely limited. 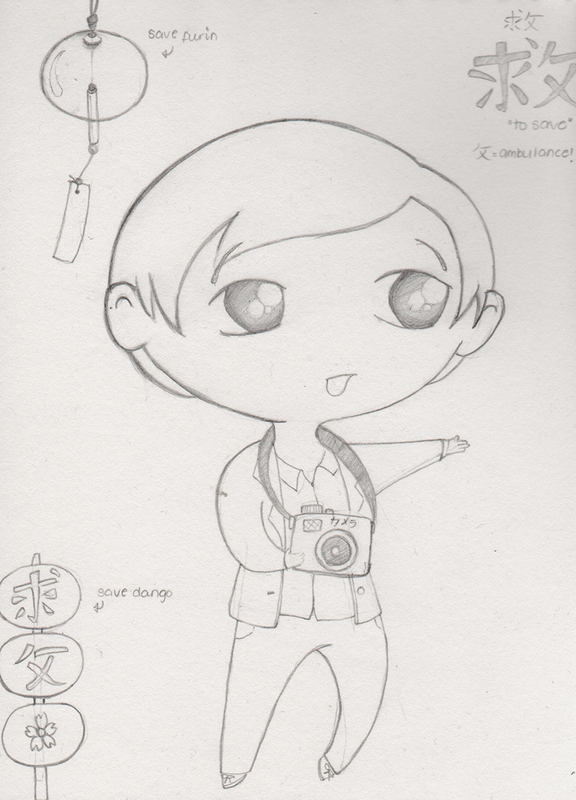 My first idea was to use a Hanami Dango, which is a special type of mochi on a stick eaten at Hanami. This was actually a coincidental discovery for me, as they popped up in the film Tekken: Blood Vengeance which I watched recently. I considered placing a Hanami Dango stick on a sort of pedestal to create a sort of Hanami Save Alter, and this is where I got with that. The kanji means “to save”. I didn’t quite finish this design, as I felt it didn’t really capture what I hoped it would. I don’t like wasting cool little things like this though, so there are plenty of food outlets throughout the world of Hanami that the Dango will probably make their way into! As I’m still trying to capture an overall image of Japan, I tried to find a nice little artefact to use rather than trying to keep within the realms of the Japanese spring time. After all, a lot of traditional save points were random emblems. I mean, what was the save point from FF7 supposed to be?? 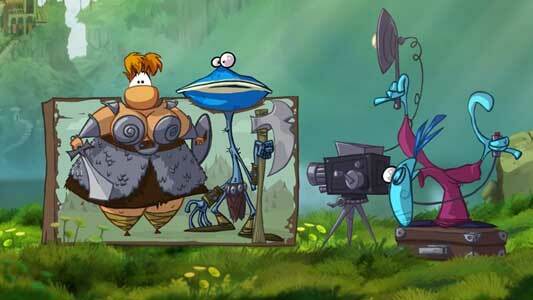 Continue to create and gather any conceptual work including a Game Design Document (GDD). Experiment with the Grandma Engine in order to configure it for the game. Research software add-ons and extensions which will be useful. I’ve managed to write and maintain my GDD pretty successfully, but “conceptual work” is currently mainly limited to character designs. 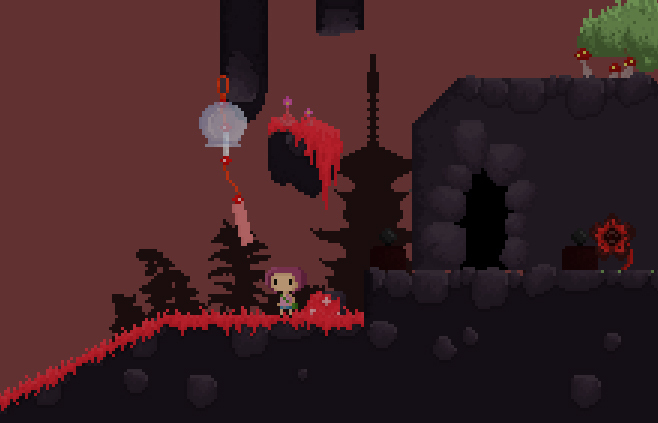 Over the coming week I’ll hopefully work up a good amount of level & item designs to being some game assets, as well as continuing to work on the in-game characters. I’ve experimented with the engine to a degree, however I still haven’t worked out things like my physics settings which must be arranged soon before I start any real level design! I don’t want to design any immense jumps only to have a character who can’t reach them… As for add-ons, I’ve previously researched things like lighting engines and sound dlls, which will come in useful, however I can’t say this for sure yet! I’ll have to re-schedule this research for next week. The guy on the left is my “generic man” character. He probably won’t appear in the game, but is the “standard model” for all male characters to be made to (The kanji symbol means “man”). After drawing him, he got me thinking about Japanese hairstyles. In photos, you can probably tell Japanese guys from Western guys just from the tops of their hair. Japanese styles tend to be longer and frame the face, whereas the normal Western man tends to avoid this, probably because it looks quite feminine. The epitome of androgynous hairstyles is demonstrated by Japanese pop/rock-star Gackt, who inspired the hairstyle in the top right. 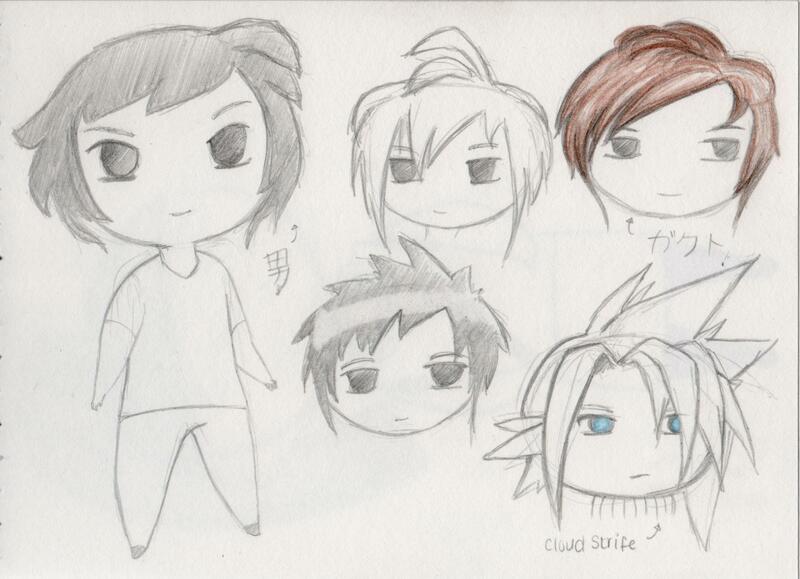 But as well as long, straight styles, I’ve noticed that Japanese males pull off spiky styles really well! This is either the symptom or the cause of many spiky-haired anime characters, famously including Akira Toriyama’s Goku from the Dragon Ball series. However, the first example of epic spiky hair that popped into mind was Cloud Strife from Final Fantasy VII. Although not a real person, there is no match in the competition for awesome spiky hair. From this short study on hairstyles, I moved onto my first male character…who has no hair. His working title name is Kannushi, based on the name of Japanese Shinto Priests. I’ve tried to write an extremely brief bio on all my characters in the GDD, mainly explaining why they didn’t suffer the same fate as the village locals (although details of this incident are a little hazy at best. I’m thinking of changing my original idea…) For my final GDD I’m hoping to write up a bit more on the characters, including useless information like favourite food etc. a Shinto priest who was immune to the curse, and prompts Hana on her journey. 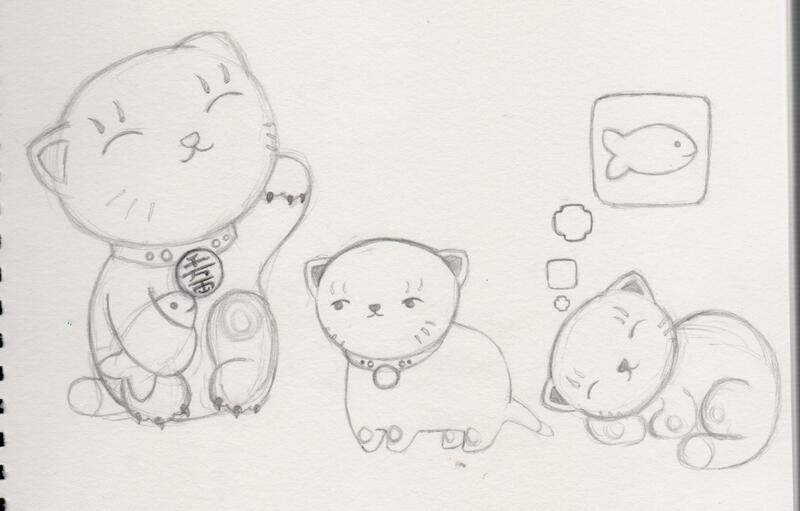 The second character I started to work on was a Maneki Neko or Lucky Cat character. 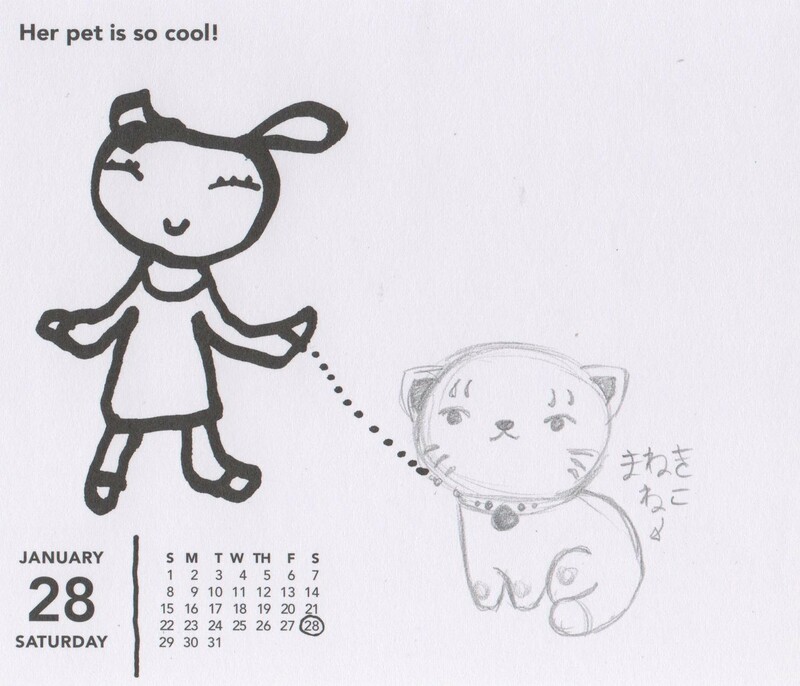 I think I originally said that Hana would have a pet cat, as I didn’t want her to be entirely alone. I realised this was silly, as you probably wouldn’t take your cat on this sort of “holiday”. So the cat’s ownership has changed. Maneki Neko now belongs to the owner of the hostel which Hana temporarily stays at. Another mysterious character, at the very start of the game Maneki Neko resembles a Lucky Cat figurine. It isn’t until the “Hanami Crisis” that the cat jumps to action and leads Hana to Kannushi. Whilst not saving the villagers, Maneki Neko enjoys snoozing and dreaming of fish. 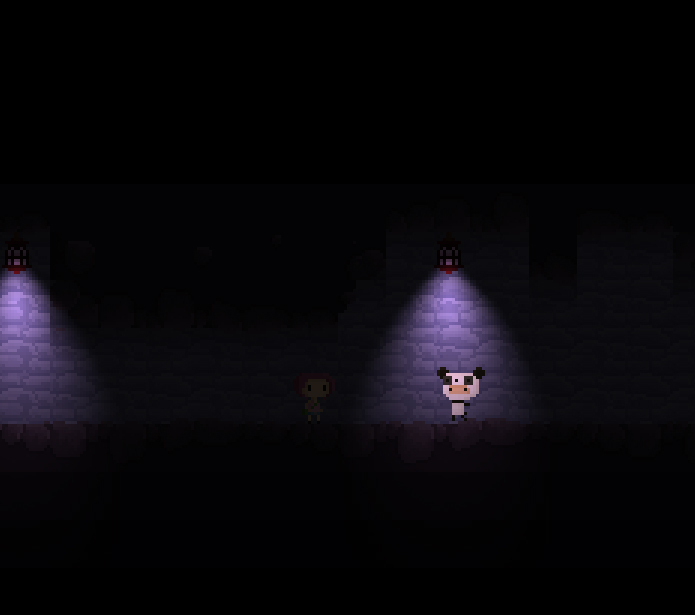 As well as this, I’ve done a little bit of graphics development, just trying to figure out how to make tiles that work. I haven’t really started any official research into Japanese buildings, but just from the research I’ve been doing so far I’m starting to get a feel for them! 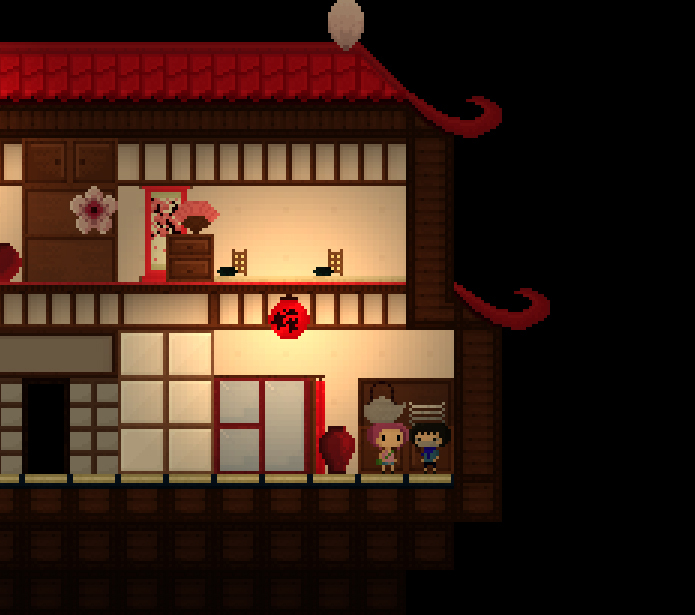 I made this small little Photoshop mock-up of a Japanese hostel room strictly using tiles only. It doesn’t work as a room as it has no access and no space for movement, but it only uses repeated tiles so I’ve made minor progress here. It has however brought to my attention more proportion issues. 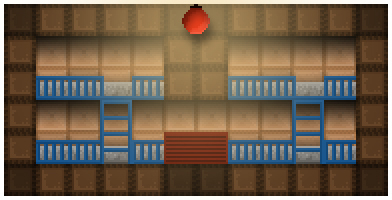 These bunk-beds for example are 64 pixels long, which is 4x as long as my character sprites, so this little tester probably wouldn’t be suitable for a game asset. 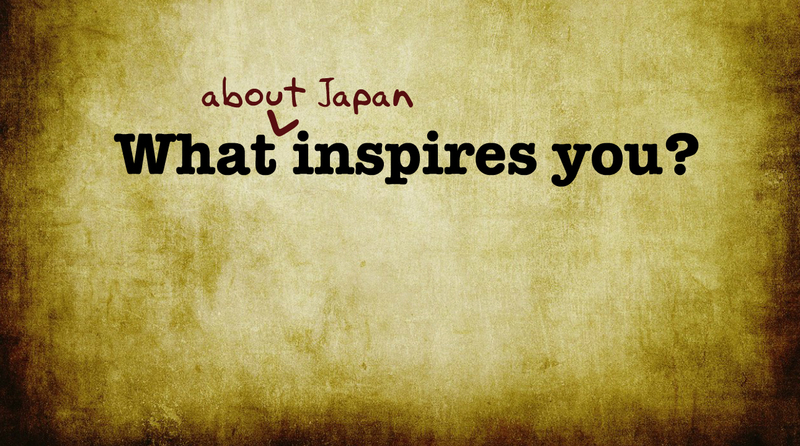 Japan is a great source of inspiration for creatives, geeks, gamers and dreamers (among others!). When I first got my Playstation, I could see that there was a difference between Japanese and Western games. The Western games I played, including Tomb Raider, Crash Bandicoot and Spyro the Dragon, were all very fun and had me playing for hours. But it was games like Final Fantasy VII and Tekken 2 that I started to get really immersed into. I felt connected to the characters and in tune with their back-stories, and noticed how relevant narrative was in gaming. 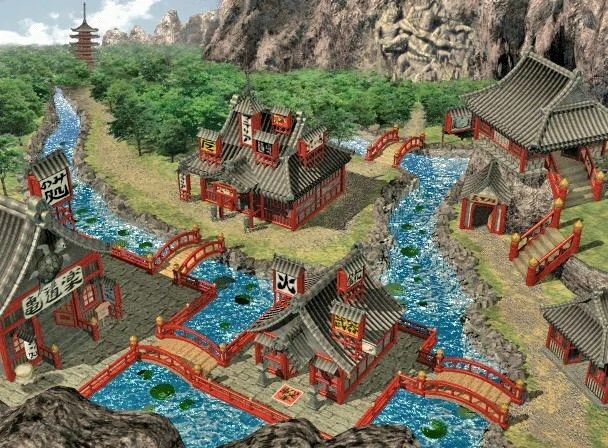 Graphically, Japanese games seemed to concentrate a lot more on small background details in order to define the setting of the game. 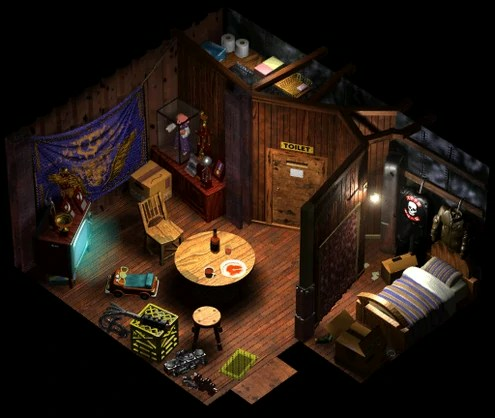 The graphics in FFVII didn’t push the limits of the hardware by any means, but as a player you could tell that each background detail had been individually placed in order to tell a story about its location. And while the game-world was set in a fantasy location, to me it had a unique feel which set it apart from games based on Western fantasy. The insight into Japanese gaming led to a little insight into Japanese culture. Which over the years has become an understanding of Japanese culture, and a real appreciation for how it has affected Japanese games, films and other media. One of my sincerest dreams is to visit there- I’ve already planned out a few of the locations I would visit including the Square Enix store which sells Final Fantasy merchandise, the Studio Ghibli museum and the island of Izu Oshima which is famous for its volcano suicides and played a huge role in the Japanese novel Ring. 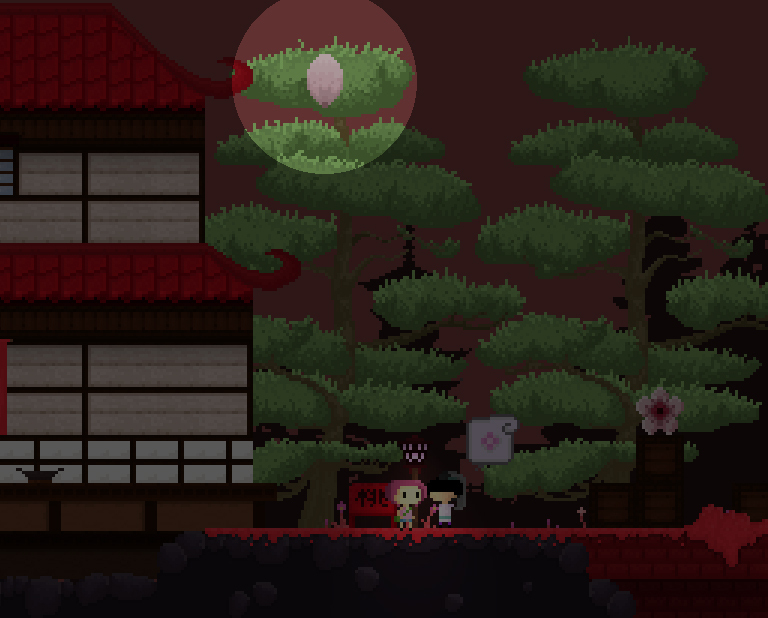 For me, I think creating a game set in a Japan-inspired location is a way of bringing the locations and culture a little closer. Games create a virtual reality which the player immerses themselves into by taking control of a character within that virtual world. Over the last few weeks I’ve been scribbling down little character ideas as and when they come to me, but as I’m still not sure how the game will look or feel, I never settled for anything. Because my game setting was inspired by Japan, I looked to Japanese character design in games and manga for a design solution. I tried to think what a Japanese character might look like, and chose a female protagonist based on the slightly feminine game concept. 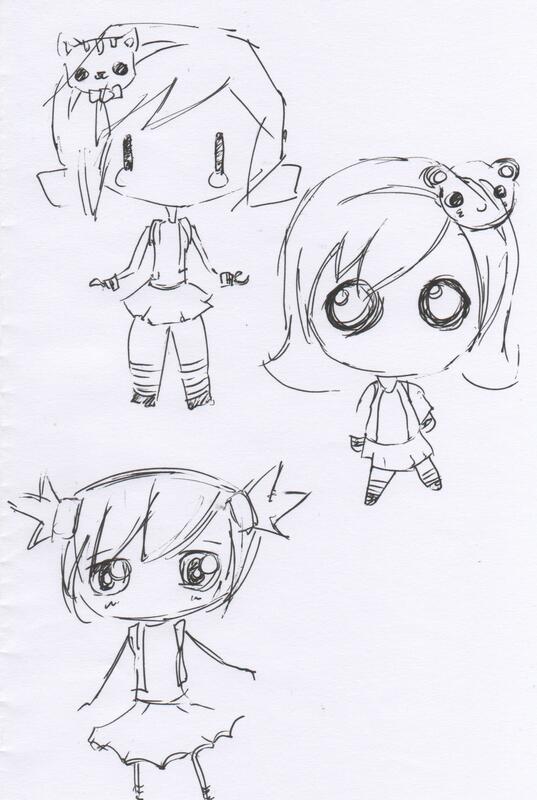 The Chibi style is simply a Japanese drawing technique which doesn’t involve placing a lot of detail, so for initial designs I thought it was very appropriate. At the beginning of his Lessons From Bamboo presentation, Garr Reynolds asks “What about Japan inspires you?” I discovered this slideshow on another blog, and immediately felt peaceful while scrolling through the amazing photography. This is just one side of Japan, in contrast to its big city lights, but its one which I hope to represent as well as I possibly can, down to the smallest detail. You can watch the video of the presentation here, which makes explains a nice little metaphor about bamboo! be flexible, tough, adaptable and able to recover with even more strength, like bamboo.